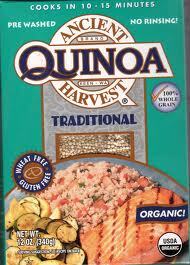 Before quinoa became popular, my mother had it in her pantry when I was growing up. Back in the ‘70’s, it was hippie dippy health food and had a picture of a Native American on the box to show how natural it was. I am sure my mother made it once, and it was either tolerated at one weeknight dinner, or rejected entirely, and then left for dead on the shelf, in memory of mom’s attempt to try something new. But now it has made a re-appearance in grocery stores, and healthful minded people are turning to it for a low-carb, gluten-free substitute for other grains. Understanding what it is and how to cook it can keep its popularity stats up at your dinner table. 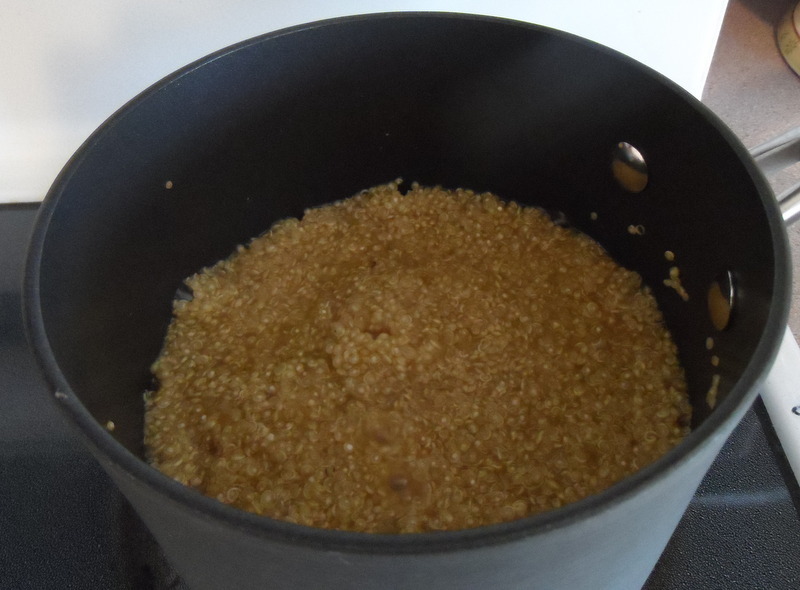 First thing you should know is that it is not a grain, although it looks a lot like couscous. 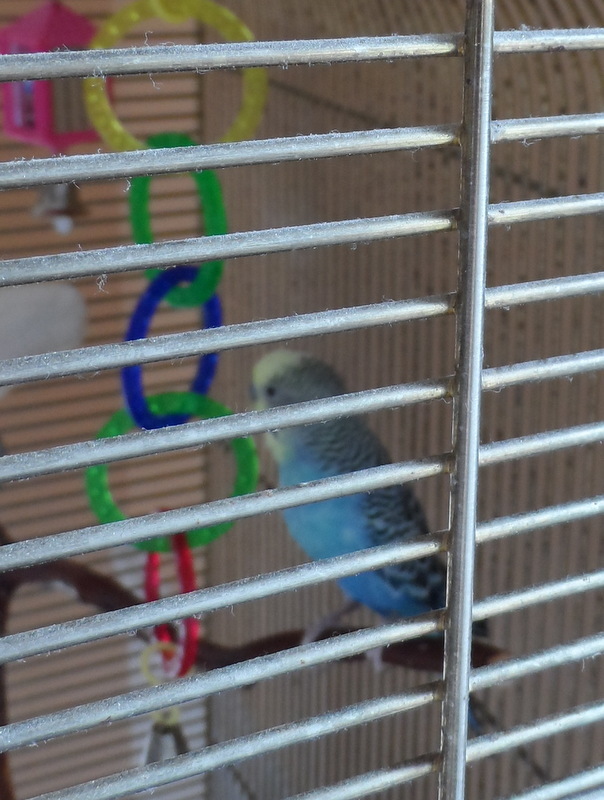 My husband thinks it looks a lot like bird seed and jokes that we are sharing dinner with our pet parakeet. 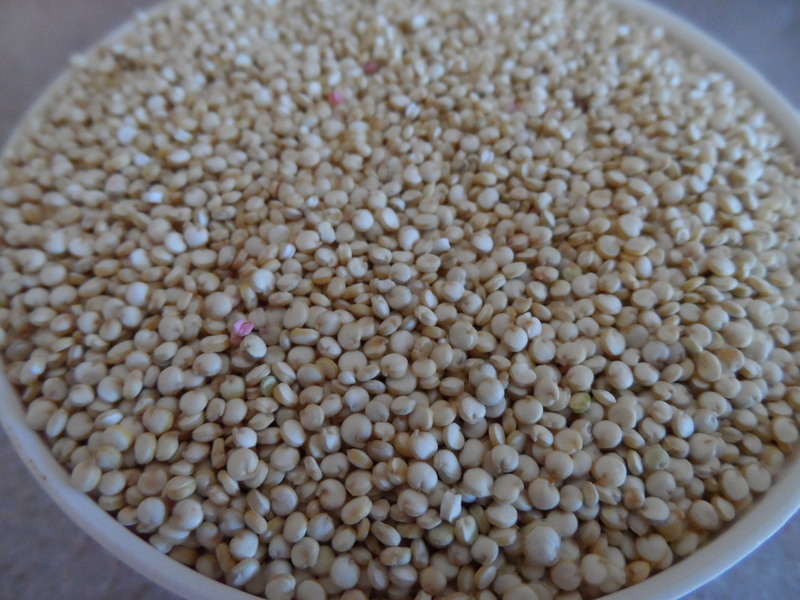 Quinoa is related to beets and spinach and is high in protein and iron. It is the seed of its plant, and, if you look closely at it after it is cooked, has a lot of personality—it is curly, just like me! It is also accepted as kosher for Passover—just think, it is the only kosher food that has a curly tail! During Passover I leave a big bowl of it in the fridge, and it will save me from sobbing into my matzah on day 3 of the holiday because I can’t go one more day without my beloved couscous, rice, or pasta (carboholic in the house, yo). 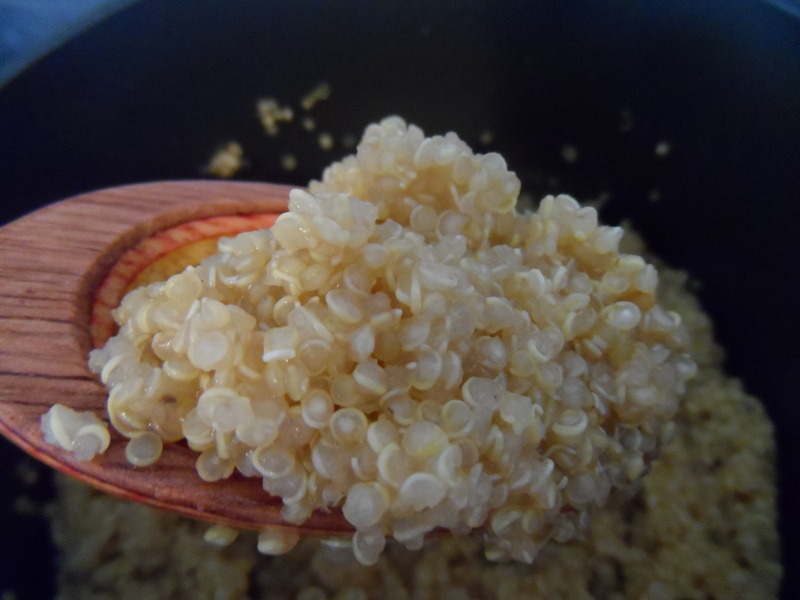 I recommend the Ancient Harvest brand, which is pre-rinsed to remove the bitter coating on each grain of quinoa, which is called saponin. Other brands, such as Trader Joe’s still have the coating, and personally I will do anything to save a step, even one as simple as this. If you do buy a brand that you need to rinse, then do so with a fine mesh colander or you will wind up washing a heck of a lot of it down the drain. I recommend cooking it in broth, not water, no matter how the instructions on the box insist either way will be fine. The broth will give it some flavor, and anything this healthy needs every bit of flavor on its side to make sure it will always have a place at your dinner table. 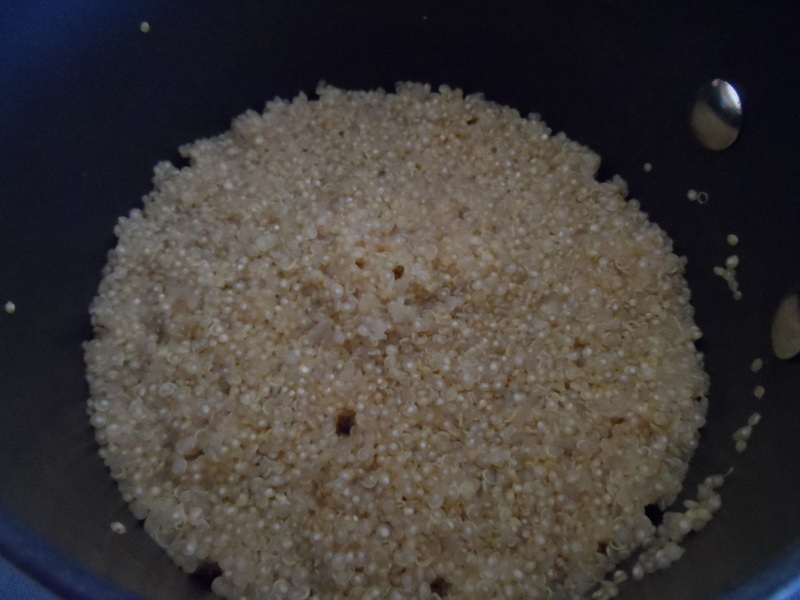 Cook it in an uncovered pot for about 15-18 minutes, until the liquid has been absorbed and there are some “holes” in the top of the quinoa. Many recipes will tell you to put the cover on the pot, but I find that then you will have to drain it, and you already know how I feel about saving a step. Since you are not cooking rice, you do not need the cover. Once it is cooked you will notice that it has changed a little bit—it will now have the cutest little curlicue shape to it. And when you taste it, it will not be mush, but will have a bit of bite to it and a pleasant texture. Let it stand for about 5 more minutes off of the heat, then, using a fork, gently fluff it out onto a large platter or wide serving bowl, and let it cool a bit. At this point you can add in any mix-ins to help it along and win over your family. Place quinoa in a mesh colander and rinse to remove bitterness (see note above). 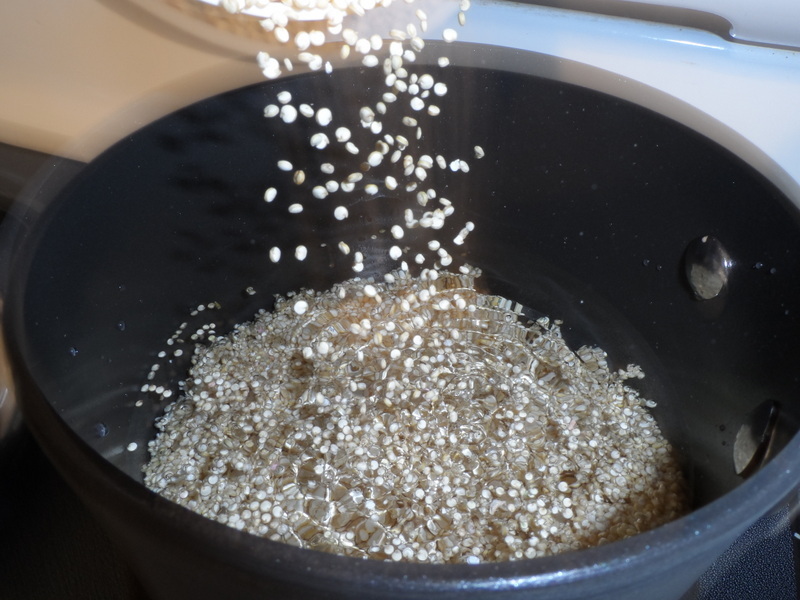 Place the quinoa and the broth into a pot, bring to a boil, then lower heat and simmer, uncovered, for 15 minutes. 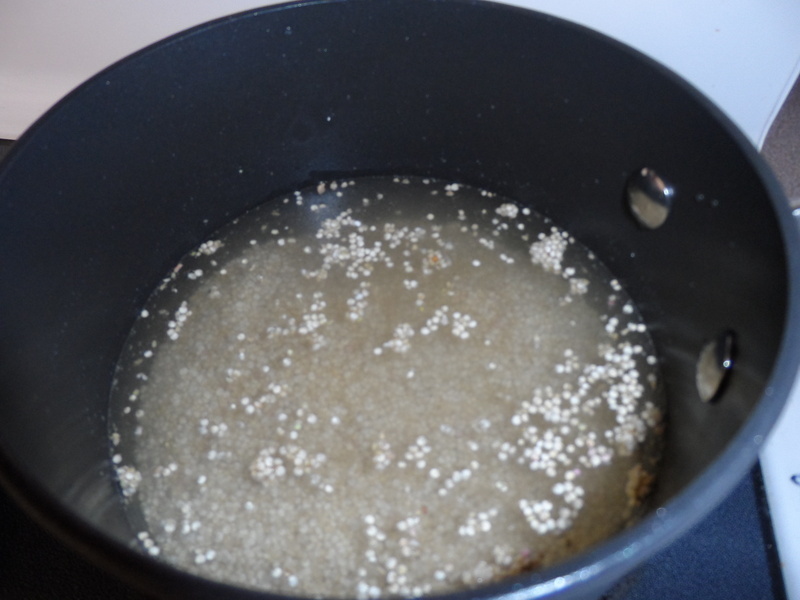 If there is any liquid remaining, drain in the colander and let quinoa cool to room temp. 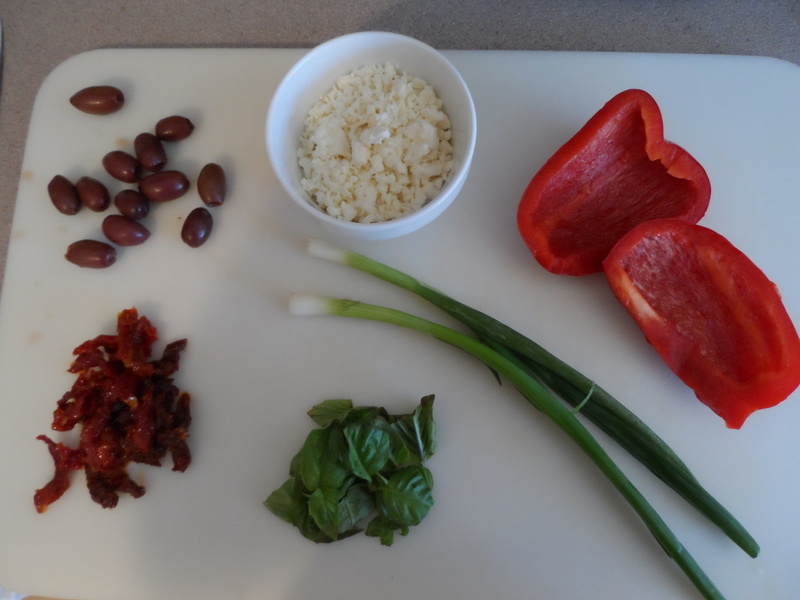 Chop olives, sun-dried tomatoes, basil, red pepper, green onions, and feta cheese. 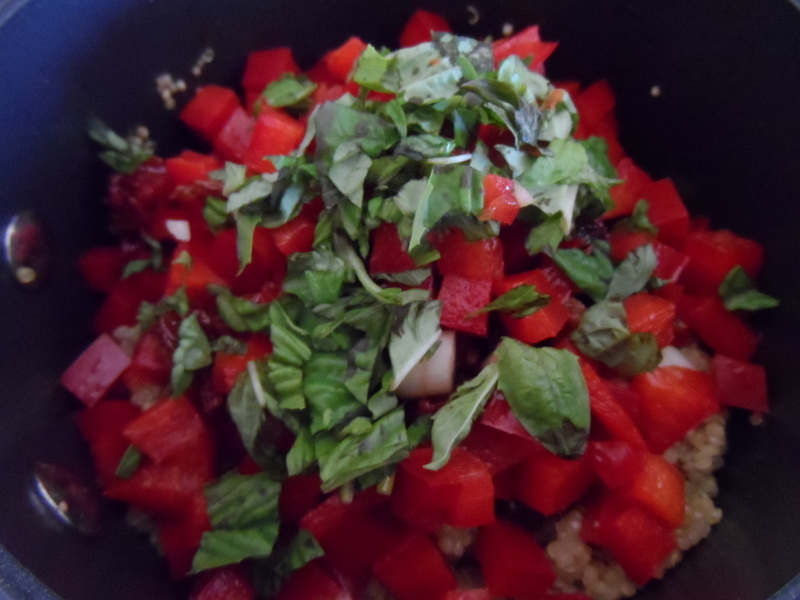 Mix into the quinoa and season with salt and pepper to taste. 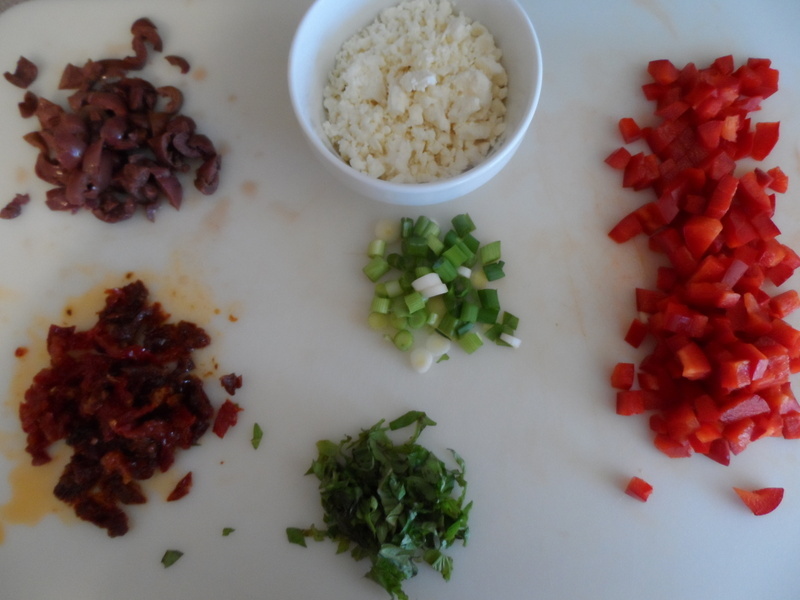 Eat any of these quinoa salads as is or in a lettuce wrap. Stuff any of the quinoa salads into a hollowed out Roma tomato, portabella mushroom, zucchini, or eggplant, and baked in the oven at 350° F until the veggies are tender. 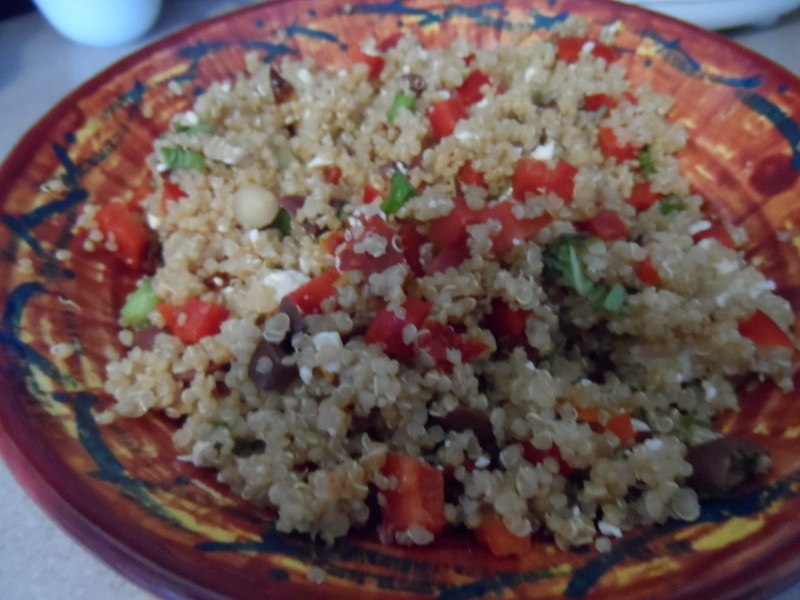 This entry was posted in Holidays, Passover, Salads & Sides and tagged Gluten Free, Healthy, Kosher, Low carb, Mediteranean, Passover, Pesach, Quinoa, Salad, Side dish by pomegranatesandhoney. Bookmark the permalink. 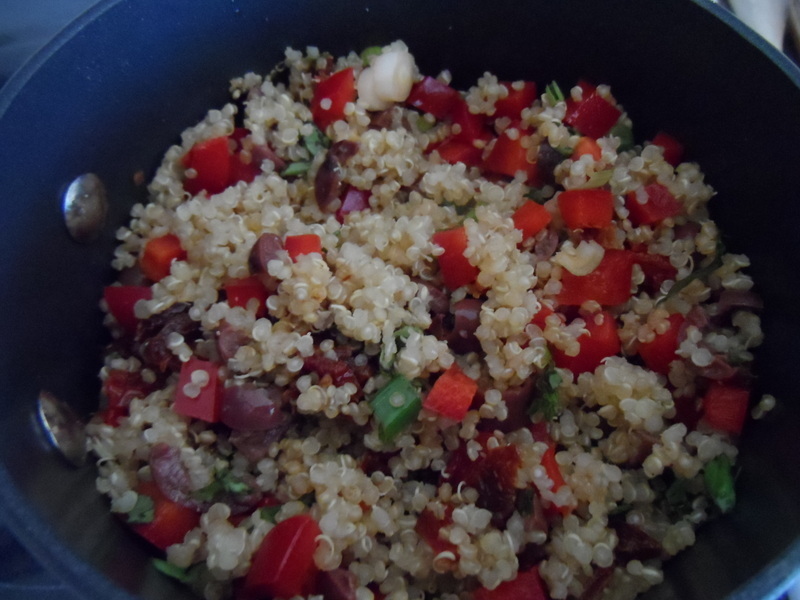 Personally, I’m not a big fan of quinoa, but I love couscous – figure that one out! This sounds yum! I found a huge (re-sealable) bag of pre-rinsed quinoa at Costco, too. Costco–good to know! Thanks Michaela! Once again, a great post to share with the St. Louis Lose to Win Facebook group. Thanks! Thank you Aimee! I love sharing! Thanks Merri! 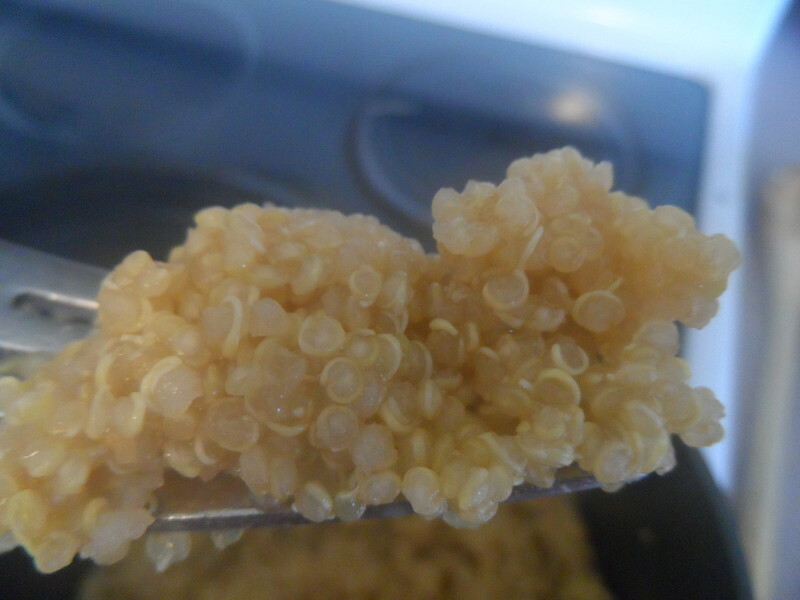 We def eat more quinoa around here since I discovered the pre-rinsed kind. Funny how such a small thing can make a big difference. Thanks for reading! So pretty! 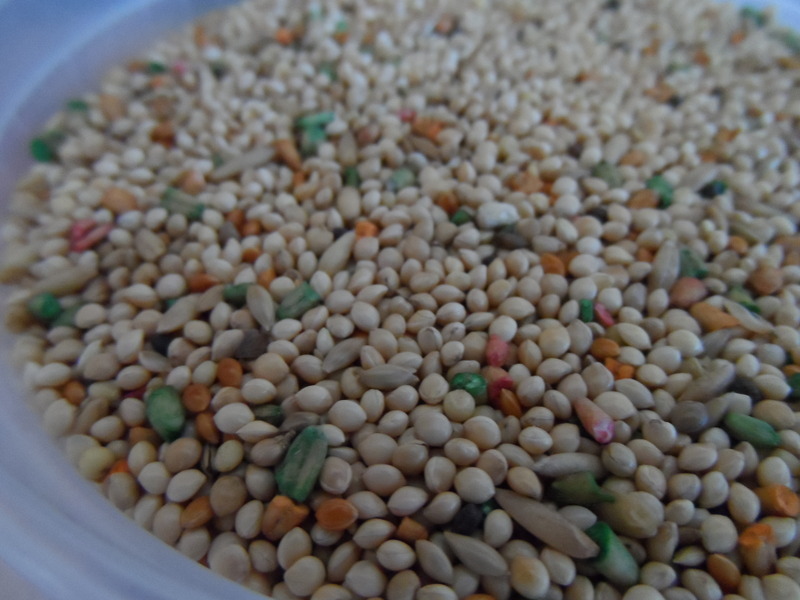 The quinoa, too 😉 And thanks for the photographic evidence that quinoa really looks like birdseed. I would vouch that it doesn’t taste like it, too, but I’ve never had birdseed.